Hundreds of passengers on board of ferry Spirit of Tasmania 2 were trapped on board of the vessel during the night, due to bad weather condition, storms and debris at Mersey River on the northwest coast of Tasmania. The officials at the Port of Devonport closed down the port to all commercial traffic, leaving the passengers at sea on board of the vessel without permission to dock at the port. All the people on board of the vessel are safe and there is no report about damages and injuries, but it is not yet clear when the traffic at the port will be released and people will be disembarked. The ferry was forced stay put in Melbourne on Monday night with all the passengers on board having to remain on the ship. There are currently flood warnings for five Tasmanian river systems as the huge storm that ravaged the New South Wales coastline moved south, with Victoria’s weather bureau also keeping a close eye on the low pressure system that has caused havoc so far. 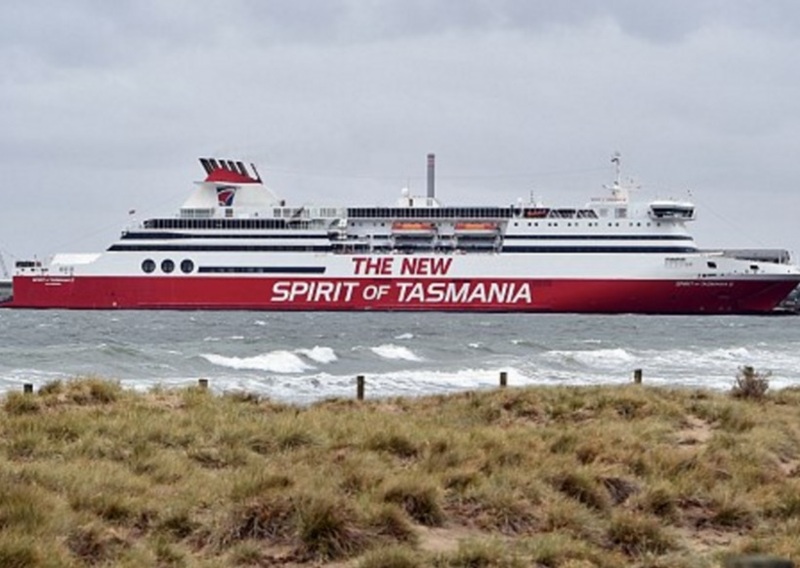 “The Spirit of Tasmania 2 will not be departing from Devonport or Melbourne until further notice”, says the official statement of the company. The ferry Spirit of Tasmania 2 (IMO: 9158434) has overall length of 195.00 m, moulded beam of 25.00 m and maximum draft of 6.50 m. The deadweight of the vessel is 5,143 DWT, while the gross tonnage is 29,338 GRT.